‘Sinner: Sacrifice for Redemption’ to Bring the the Seven Deadly Boss Battle Sins… Soon! Poor Adam. On top of losing his memories, if care is not taken, his very life might soon follow that same path. Unless of course, the brave warrior is somehow able to overcome the challenges that lie ahead in Sinner: Sacrifice for Redemption, proving victorious in combat against a multitude of absolutely massive creatures. Oh, and for each encounter, he will be required to give up a part of himself. Poor Adam, indeed. If the above paragraph and/or screenshot seems a tad familiar, it’s likely due to the fact that Sinner: Sacrifice for Redemption is inspired by well-known franchises like the Souls series and Shadow of the Colossus. And what a blend, based on the trailer below! A blend that we shall all get to experience, wallets willing, in but a few months. With the promise of “eight distinct, brutal bosses”, multiple endings (wait, what? ), a variety of game modes and unlockable weapons, I suspect we’ll be in for one helluva battle upon stepping into Adam’s shoes. As for what fate has in store for Adam, should he prove capable of facing his fears on the battlefield, remains to be seen. For now, how about that rather stylish announcement trailer? It has actual gameplay and all, however briefly. 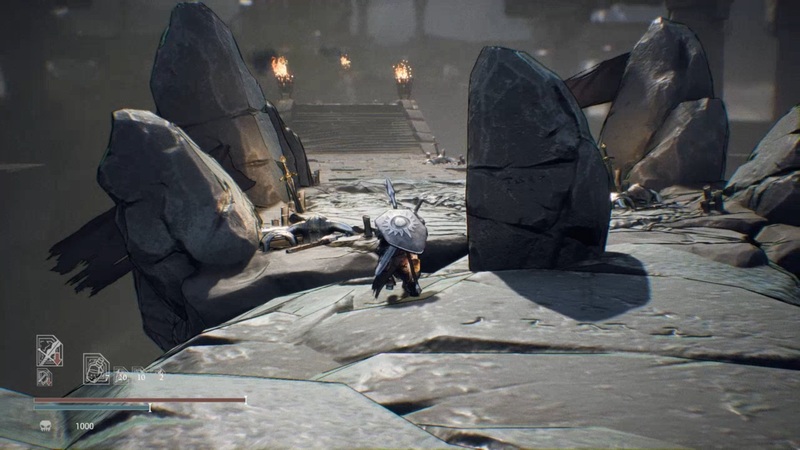 Sinner: Sacrifice for Redemption will be available on Steam, PlayStation 4 and Xbox One, come April 25, 2018.